Heat stressed vegetables and plants with severe leaf burn were a common sight following the Christmas – New Year heatwave. 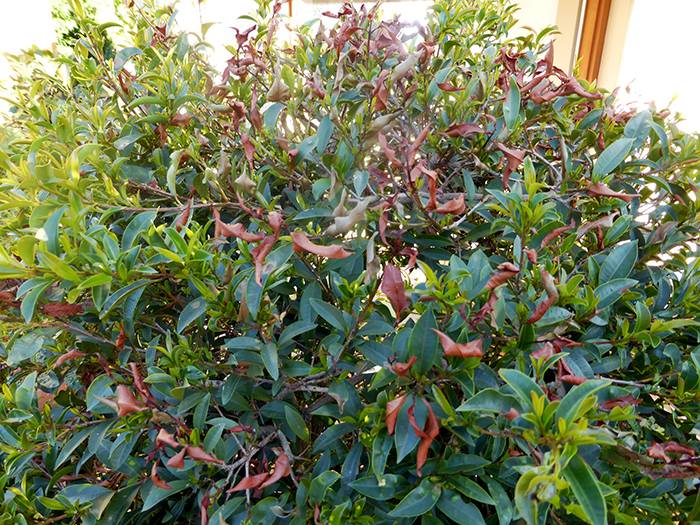 Leaf burn was certainly more widespread than expected, with plants in many gardens simply running out of soil moisture. Unfortunately some gardeners also lost favourite container-grown plants. Keen gardeners who like to check the soil before they re-water were surprised at how quickly the topsoil dried out, both from containers and garden beds. This is not surprising. When temperatures run into the very high 30s and beyond, plants with a healthy root system use every drop of moisture just to keep cool. With more extreme heat on the way a systematic soaking of the garden tonight or possibly early tomorrow morning is highly recommended. It’s worth repeating – plants with healthy roots that are well watered before the heat sets in will suffer little if any damage. Ironically, heatwave feedback from a number of gardeners indicates the main reason for container plant collapse during the heat was over-watering. In this situation the air spaces between the potting mix particles were continually filled with moisture. Without air the plants drowned. Checking the top 1 to 2 cm of potting mix is completely dry before re-watering is a useful guide. Warmer and drier than normal weather is likely to continue through late summer and extend into early autumn, with best prospects for significant rain not occurring until early February. This was the three-month weather outlook for SA gardeners presented by Bureau of Meteorology climatologist Darren Ray on ABC Talkback Gardening last Saturday. Darren believes Adelaide’s summer heat will continue to arrive in short spells rather than extended waves. SA’s summer fruit harvest is now well underway. While crop yields generally are good, fruit size in many gardens is reported to be smaller than normal. More on the link between fruit size and watering in my Advertiser gardening column tomorrow. Fruit trees have their main moisture gathering roots well below the surface at 15-35cm. This is the area that needs to be soaked when you water. Light surface watering with a handheld spray is usually ineffective, as most of the moisture is lost through evaporation. A mature fruit tree (3-4m x 3m) carrying a heavy crop will need around 200 litres of water a week as the fruit approaches maturity. However, this should be increased to 500 litres per week during the two weeks before harvest. While this sounds like a large volume of water, keep in mind a standard hole-in-the-centre sprinkler that is often allowed to run for 30 minutes and more will distribute 200 to 300 litres of water in 10 minutes. fruit forest or just a few trees in pots, now is a great time to give them a boost. 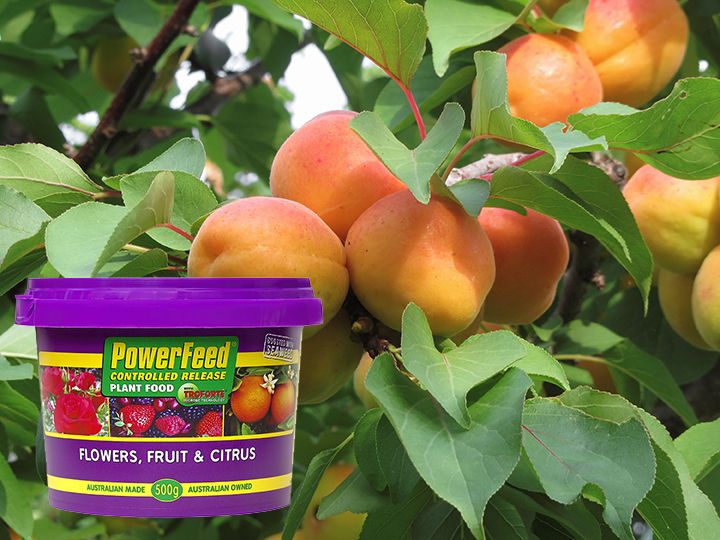 a good dose of PowerFeed Controlled Release Plant Food for Flowers, Fruit & Citrus. abundance of flowers and fruit. plants AND it is packed full of beneficial microbes. Many fruit trees will also benefit from a summer prune after the crop is harvested. Applies water at a low rate. Applies water over a long period of time. Water is applied at frequent intervals. Water is placed near or into the plant’s root zone. Applies water via a low-pressure delivery system. If we consider these points to operate a micro irrigation system correctly, we need to ensure that we allocate adequate run times (how long) and frequencies (how often) between watering. We need to monitor plants for signs of water stress (drooping leaves or leaf burn) and adjust our watering schedules to suit the conditions. This is particularly important in the peak of summer when the onset of plant stress can be rapid. Typically, it is not uncommon for low flow fixed drippers i.e. 4 lph to have run times of 1 to 2 hours daily in the peak of summer, whereas adjustable multi outlet drippers (Shrubbler®) or Sprays can typically run for 15 to 30 minutes daily. The frequency of irrigation is determined by the current weather i.e. in spring you may water every 2nd or 3rd day versus in the peak of summer watering twice per day (morning and early evening). Watering with a micro irrigation system is not an exact science as there are many variables that can affect watering efficiency and these need to be considered and the schedules adjusted accordingly. We have put together a basic watering guide for Adelaide to assist you in your watering decisions. 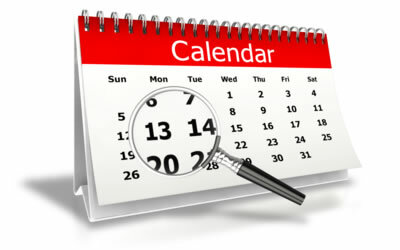 Don't forget to send us your garden event dates and details for inclusion in the Good Gardening "What's On" calendar. Camellia bushes are often neglected at this time of the year as they are not flowering or producing vigorous growth. However, they are busy producing new flower buds for their winter and spring displays. Plants in containers should be soaked, incorporating an application of a soil wetting solution and a quality seaweed product. How much would you pay for an average front garden lawn? 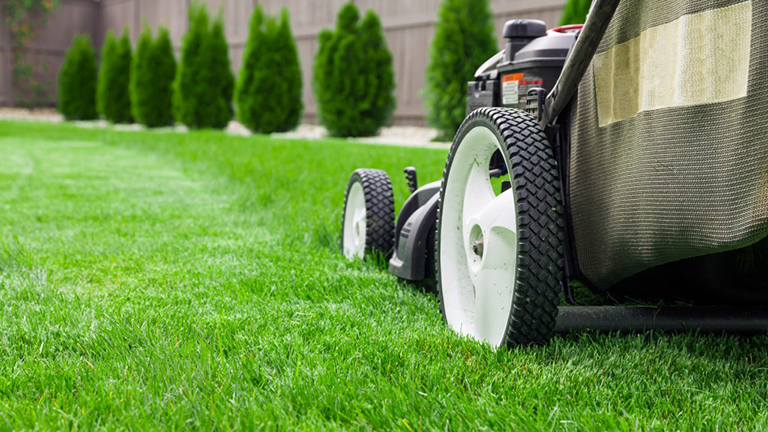 While it’s hard to put a realistic value on the look of a lawn, if you paused for a few minutes and started to think about the many benefits linked to the lawn, you may be surprised. In this week’s lawn blog, SA lawn advisor Stefan Palm considers the many benefits of growing a lawn and why collectively they are an important part of our urban landscape. Cantaloupes, melons and pumpkins produce both male and female flowers on the same plant. Initially there are more male than female flowers (to attract more bees). As the season progresses, you can increase the number of female flowers by removing the tip growth of the longest runners. This is particularly effective for pumpkins. Insects are the main pollinators particularly bees. Most pollination is carried out relatively early in the morning. During summer, cymbidium orchids are moving through a critical stage of flower initiation for the following season. Your chance of increasing the number of flower spikes later in the year can be boosted considerably if you can create a night time drop in temperature around your plants of 10°C. This can be achieved by misting or showering your plants for a few minutes with water late in the afternoon or during early evening, particularly when conditions are very warm. Spindly growth on indoor plants usually indicates inadequate light. If possible, relocate the plants where the light is bright, but don’t place them in direct sunlight or the leaves will burn. Remember to rotate indoor plants on a regular basis so that all parts of the plants are turned towards the light. A formal English-style garden in keeping with the traditional architecture of the house. Beautifully crafted stone walls and clipped hedges form strong bones for the garden, which is divided into distinct garden rooms, each with its own theme and colour scheme. ABC Radio Adelaide Talkback Gardening this Saturday – phone me and Deb Tribe on 1300 222 891 and have your own gardening question answered. Topic – The big benefits of using temporary shade in the garden. Guest – Dominic Cavallaro, vegetable agronomist for Ag & Seed, Virginia. Copyright © 2019 Jon Lamb Communications, All rights reserved.